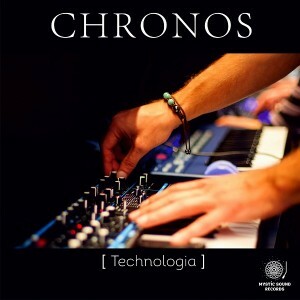 Mystic Sound Records celebrates the 10th anniversary of the founding of Chronos with a special three-part anthology breathing new life into tracks released through the entire history of the project. This initiative began with Spiritus and continues here with Technologia, the second chapter in the trilogy. Included are ten magnificent downtempo songs fully demonstrating the magic and mystery of the Chronos sound. Remastered by Edward Cybered at Manifold Studio with cover art designed by Elena Ukolova. MP3 Download | FLAC Download | WAV Download · Download count: 6,665. I picked up this release off their Bandcamp page a week or so ago. Quality downtempo…lush and layered. Absolute quality! Highly recommended DL! Chronos shows his pure mastery here! Awesome magic!!! I may put this on the top 10 of 2015 unless something edges it out. Loved it. Wow, splendid music, beautiful and so smooth. “Planetarium” and “Swinging Satori” are truly special. This is crafted so well.. Such mastery.. Cheers! This is wonderful music. Thanks to Chronos & Ektoplazm! Great release! Really enjoyed this.